Cheaper e-books coming to the Kindle? Apple and four of its publishing cronies have officially agreed to a deal to ease e-book pricing restrictions on Amazon and other retailers, ending a major court-case investigating price fixing in the EU. Apple and the publishers (Simon & Schuster, Harper Collins, Hachette Livre and Macmillan) are going to let retailers set the pricing and any book discounts for at least the next two years. 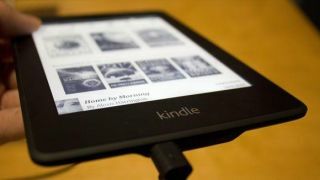 Joaquin Almunia, the EU Competition Commissioner who was leading the investigation into the pricing upset, said that this commitment will "restore normal competitive conditions in this new and fast-moving market, to the benefit of the buyers and readers of e-books". Originally, Apple subscribed to the agency model of e-book pricing – it let book publishers set the prices of their own books in return for a 30 per cent cut when sold through iBooks. It wouldn't let publishers sell books for less elsewhere, so because of that hefty 30 per cent cut going to Apple, e-book prices went up across the board. Amazon found this particularly frustrating given its business model of selling anything and everything for less than you'll pay on the highstreet and elsewhere – so much so that it went to the EU and prompted the investigation.